The death toll from floods sweeping through northeastern China has risen to 37, state media said Saturday, as the country continues to battle the worst floods in a decade. Torrential rains in Jilin province have left a further 35 missing as more than 364,000 people were evacuated from waterlogged areas, the official Xinhua news agency reported. The weather bureau has predicted more heavy rain for the central and eastern parts of the hard-hit province, with experts warning of further flooding and landslides. 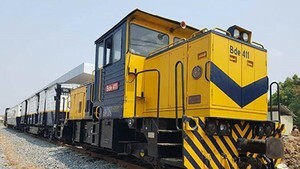 Water, electricity and telecommunications services were cut in parts of the province, while train services in the town of Kouqian were suspended after the railway station was surrounded by flood waters, previous reports said. More than 95,500 buildings have been damaged in the floods, with 25,400 destroyed, Xinhua said. Floods up to three metres (10 feet) deep in some places submerged factories and houses, reports said earlier this week, before the waters receded to about one metre. Elsewhere in Jilin, hundreds of workers scrambled to recover 3,000 barrels full of explosive chemicals that were washed by flood waters into the Songhua River, a major waterway. Water supplies to the nearby city of Jilin were temporarily cut after the incident on Wednesday, leaving 4.3 million people dependent on bottled water. A total of 7,000 barrels were washed into the river, with 2,500 containing the chemical trimethyl chloro silicane -- a highly explosive, colorless liquid -- while 500 contained the compound hexamethyl disilazane, Xinhua said. About 3,700 barrels had been recovered by Friday afternoon, the report said, but it was not clear how many of them contained the chemicals. 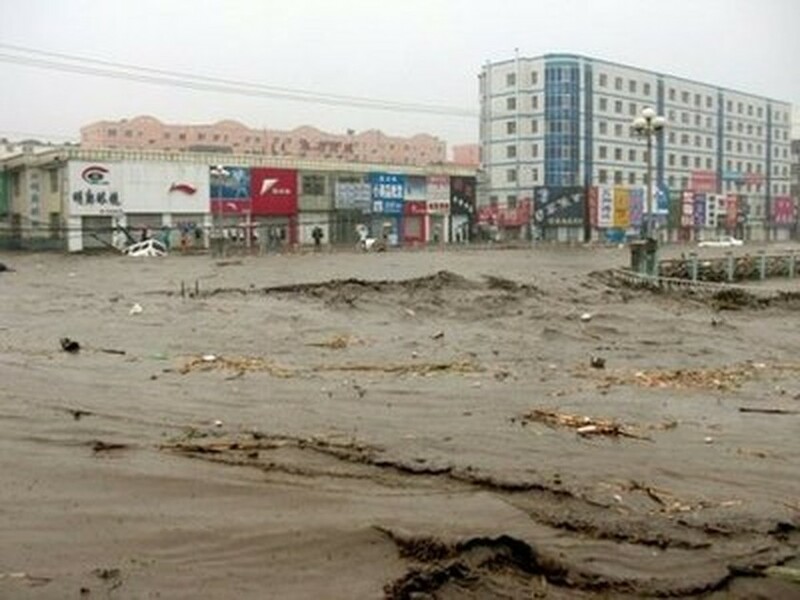 Jilin is the latest province to have been hit by recent deadly floods that have killed more than 300 people since July 14 and left another 300 missing, according to the latest official figures. Until now, torrential rains have mostly hit China's south, swelling the Yangtze River -- the nation's longest waterway -- and some of its tributaries to dangerous levels. In the far-western Xinjiang region, rescuers were trying to reach 700 residents, construction workers and tourists trapped by floods. Floodwaters have damaged three bridges and a dozen buildings in Kuqa county in the central part of the region, with more than 13,000 people from the area preparing to reinforce dykes to contain floods. The worst floods in a decade have left 991 dead and 558 missing since the beginning of the year and caused more than 28 billion dollars in damage, latest official figures show, and authorities have warned of more to come.